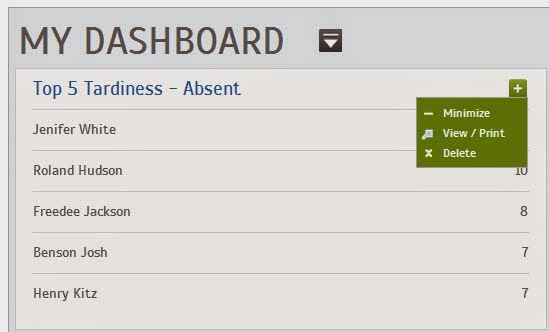 The My Dashboard in TimeTec Cloud projects the workforce performance of your company in the form of graphs and charts. Organization leaders and human resource managers can review attendance of individual staff to know those are doing good, and those with repeat cases of tardiness as well. Click Home to select My Dashboard and this will be screen that you see. You can select specific date range so TimeTec Cloud recalculate the analysis. 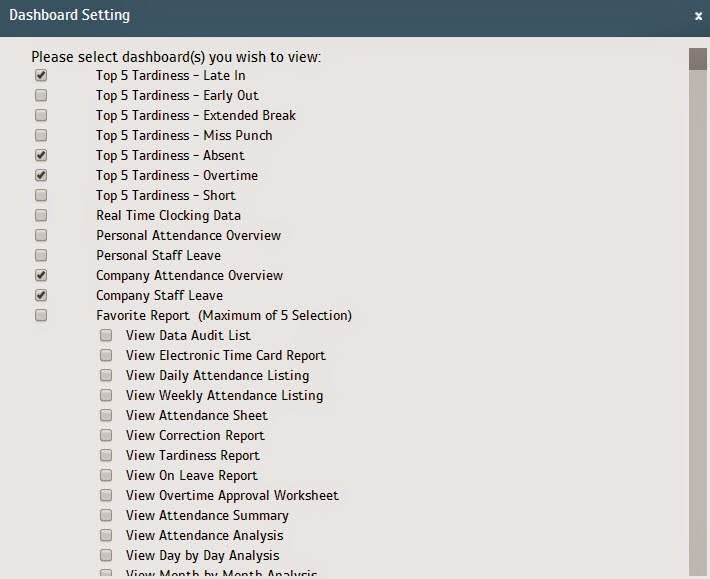 There are a total 6 sections to display lists, charts and graph at the My Dashboard page. You can add a new section by clicking the dropdown menu near My Dashboard. Check the checkboxes if you want to add this to the dashboard. You can opt to view details of specific sections by selecting View/Print. To remove these unwanted or irrelevant sections, click Delete. You can arrange the sections accordingly by dragging and dropping each of them.